← How Can This Be? “I am the Lord’s servant,” Mary replied. “May your word to me be fulfilled.” Then the angel left her. Mary’s answer showed the deepest kind of faith. It’s a faith you would expect to see in someone who has walked with God for decades and decades. It’s a faith that speaks of powerful experience and long-established trust in God’s love. What it is not is the faith you would expect to see in a very young woman who has just been told that she is going to give birth to a child outside of wedlock. Then, true to form, this cut-to-the-chase angel disappeared once Mary had uttered these words. 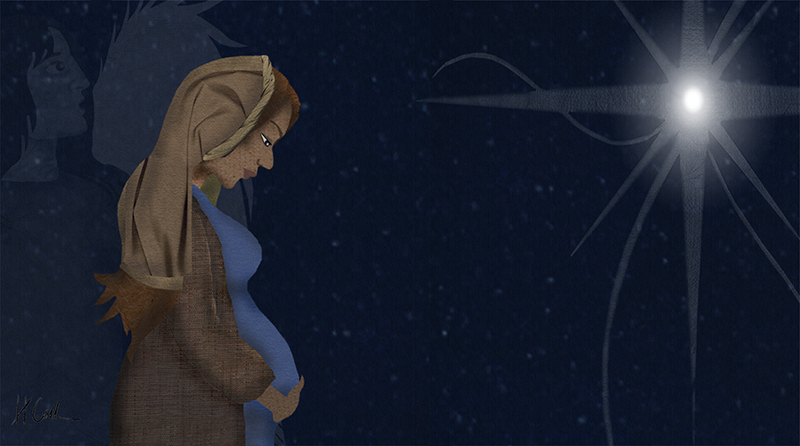 The angel’s mission had been accomplished: Mary had placed her life firmly in God’s hands. And so the angel disappeared. I’ve often wondered what it would have been like for Mary in that moment. Did she sit there a while, thinking over this life-changing event? Did she wonder whether or not it had really just happened? After all, it was over and done in the span of a few sentences! Did she worry about what was next? When you’re making an important decision, do you like to spend time looking at all the options, or do you prefer to jump right in?